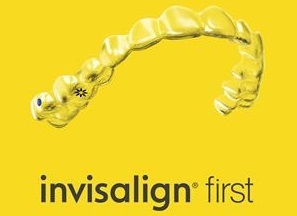 We believe that our patients are the best judges of the quality and service of our orthodontics in New Canaan, Connecticut. Read what our patients are saying about us below. - Margaret and Dan S.
"Our 3 children have been patients of Dr. Feeney’s, spanning 12 years. The consistency of his dedication, understanding and individualized approach has been unwavering. Each of our boys had a unique level of correction needed, from cosmetic to more serious jaw structural issues. He was incredibly honest about each situation making it clear to us he was not a “braces factory”. Dr. Feeney approaches the service like a working partnership he takes his part seriously and expects the same from his patients (wearing elastics and retainers). He along with his staff, particularly Lori and Val, have basically watched our children grow up and have become more like family friends. The patience and understanding Lori has with making (and re-scheduling) appointments around family/kid schedules is truly amazing! Our experience with Dr. Feeney and his staff has been excellent." "As I was sitting in the waiting room during one of my first appointments with my oldest child, I sat next to a Dentist from Fairfield whose daughter was also a patient of Dr. Feeney’s. When I asked why she travelled all the way from Fairfield she told me that Dr. Feeney’s reputation was the best in the field and that she would travel farther to see him if she had to. I knew then that we were in good hands. And, now that 2 of 3 of my children have completed their orthodontia work, I can see why his patients come from near and far. Dr. Feeney is an exceptional doctor, his office staff couldn’t be nicer and we couldn’t be happier with the results."